Brioni is celebrating a new success story in Europe, in creative, elegant Barcelona just a stone’s throw from the Casa Batllò and Gaudì’s Pedrera on the splendid Paseo de Gracia where the most sophisticated design, shopping, entertainment and accommodation establishments meet in a magnificent setting. Brioni’s 300 square metres over three levels in the Hotel Mandarin are an excellent example of this: spectacular open spaces for the men’s and women’s collections have been set up that integrate the Brioni concept with the Hotel’s recent renovation, carried out by Carlos Ferrater and Patricia Urquiola. The large sofa in the lounge area is by the same Spanish designer, Patricia Urquiola, who has a studio in Milan. The sofa can be found in the authentic Brioni lounge, where customers can take some time to relax or conveniently choose from the men’s and women’s Made to Measure lines, with their, as ever, exclusive fabrics and models that reflect the sartorial skill of Brioni’s master tailors. 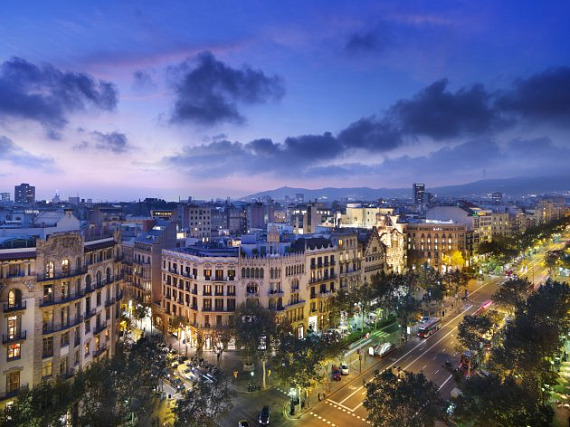 The opening of the Barcelona boutique follows the recent openings in Istanbul, Beirut and Lugano. Over the course of the year new openings are in the pipeline in Shanghai and Beijing, as well as in Dusseldorf and Mexico City.